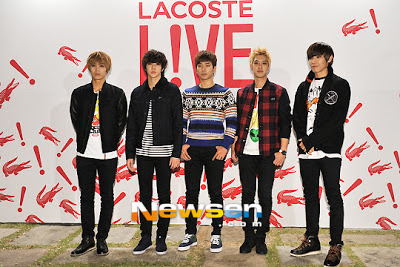 Last March 31, Korean boy band MBLAQ was supposed to do its "MBLAQ First Contact Showcase" in the Philippines. However, the organizer of the event, K&P, cancelled the show hours before the showcase. Fans who bought tickets are asking for refunds. However, the organizer has yet to act on this. The Philippine K-pop Convention Inc., a media partner of the event, issued today a clarification regarding the ticket refund and K&P. We have been receiving inquiries regarding the refund of payments from the cancelled MBLAQ First Contact Showcase, which was originally scheduled to take place at the Aliw Theater last March 31st. We would like to take this opportunity to make some important clarifications, as well as share any relevant updates that have come out of our ongoing discussions with K&P, the official organizer of the event. Firstly, allow us to state once again that K&P tapped PKCI to become a media partner for the event, and requested for our assistance to promote it among our existing network of KPOP groups and enthusiasts. This entailed sharing information, updates and details about the event on our Facebook Page and other social media. It is of utmost importance for us to note that as a media partner, we did not provide any financial support to stage the event, nor did we receive any monetary compensation for the assistance we provided. Like the other media partners that K&P tapped for First Contact, we delivered what was expected of us, which was essentially to spread the word to the ones within our online reach. In having agreed to become a media partner, we consequently put the PKCI brand and reputation on the line. At the time, we did not see anything questionable about the organizer, nor was there any reason for us to doubt the legitimacy of the event. Following our standard practices on KPOP events, we acted as a bridge between K&P and our concerned fanclub affiliates, helping to establish initial contact and liaising only when it became absolutely necessary. All procedures on ticket ordering and purchase (including the promise of perks, bonuses, discounts, among others) were dictated by the organizer to the fanclubs, and did not appear to be out of the ordinary or outside of what is commonly done locally. Our role as a media partner and as the umbrella organization for our affiliates then compelled us to inform and update the public about the aforementioned ticket procurement process. Being KPOP fans ourselves, a number of PKCI and fanclub admins also bought tickets (and thus are also awaiting refunds for their purchase). As per K&P's directive, all payments coursed through the fanclubs were turned over to the organizer immediately after the payment deadline. All this was carried out with absolute faith and trust in K&P, and up until the very morning of the event, we had no inkling that the organizer was experiencing issues that would lead to a cancellation. Like the fans, we were also shocked and utterly dismayed at the very sudden turn of events. Our first thoughts went to those who had painstakingly saved and waited for the event, and we of course demanded an explanation from the organizer. Even when an official statement was released, we made sure to maintain contact in the hopes of receiving a more satisfying answer. Since then, we have tried our best to stay in touch with K&P, who has consistently apologized for being unable to give a definite date as to when the payments they received will be refunded. Having only been a media partner for the event, PKCI is facing certain challenges while reviewing what legal actions can be taken. We have asked the Manila Broadcasting Center (MBC) for assistance, but have been told with regret that there is also not much they can do given their only participation as a sponsor was to provide the venue for the event. We have been tireless in our efforts to make K&P answerable to PKCI, our fanclub affiliates, and their members, particularly those who bought tickets from K&P through MBLAQPh. This situation has been disappointing, to say the least, and we feel equally victimized and betrayed. As a non-profit organization with passionate members who do not earn from events or initiatives like this, we do know the value of money and are thus taking this very seriously. It is our hope that K&P can provide the most appropriate resolution soon, not only for those who have been affected but for the entire fandom who feels just as betrayed. As always, we thank you all for your continued support and understanding.